With the release of the 2017 Man Booker Prize shortlist thoughts must turn not only to the books listed but to the prize itself. Amongst the myriad of book prizes from local to global, from first novels to specific genres, why does this one stand out? How was this prize was inaugurated? British literary prizes have been around for centuries, functioning traditionally as a form of patronage bestowed upon the deserving by the aristocracy or the wealthy, or providing some financial support to an author whilst securing cultural capital for prize givers in the disinterested promotion of literature. The prize explosion that took place following the Second World War was of a different order to earlier patronage. Following the advent of cinema, then television, there was a need to compete for a share in a changing market. With new media came an increased attention to celebrity culture in Britain. Subsequently the book world took on the glamorous robes of other kinds of prize giving, with some literary award ceremonies being as glamorous as the Oscars, and authors also becoming celebrities in their own right. With its glittering award ceremony, held in the most prestigious venues in London, surrounded by media hoopla, the Man Booker Prize certainly falls into this category. Publishing is now big business, a global industry, the commercial value of book prizes, in addition to their cultural kudos which “adds value”, the latter now a major marketing consideration. In the late 1960s, Tom Maschler, writer, and leading figure in the publishing industry, aspired to establish a British literary prize comparable to the prestigious French, Prix Goncourt. He successfully approached Booker–McConnell, a commercial company founded on colonial wealth amassed from the sugar and rum trade, to sponsor such a prize. First awarded in 1968, the prize was named after the company whose chairman was Jock Campbell; Campbell’s agreement to sponsor the prize, despite the view of some critics, was not simply a form of cultural money-laundering to assuage corporate guilt over past colonial malpractices. The company had diversified, in a small but profitable way, into purchasing copyrights from bestselling authors, starting with Campbell’s friend, Ian Fleming. The association with a literary prize not only gave the company cultural prestige but gave a platform to improve its own business. Head of Jonathan Cape publishing at that time, Maschler also stood to gain from a prize which would provide more visible company profile, increased sales, and direct access other authors and publishers. Evidence of the benefits of his involvement are clear given that this press had gone on to published the highest number of winning titles. Indeed, today, the close link between prize and imprint is still retained as their publishing director sits on the prize advisory committee. In 2002, the Man Group, an investment management firm, took over sponsorship, but so successful had the prize been, that the name, “Booker”, was kept and remains the title for which the prize is still most commonly called. Some critics consider prizes, like the Booker, to be of great benefit as they can offer increased public exposure to works that might otherwise go relatively unnoticed; others think they are detrimental, diminishing the cultural value of books by treating them as commodities or by promoting books widely considered culturally or intellectually unworthy. Regardless, of the polarized views on the cultural benefits of prizes, there appears to be universal agreement that this prize holds considerable marketing power. There is no doubt that, with such a vast array of books to choose from, readers are likely to gravitate towards shortlisted titles or award winners, having made the assumption that the prize process will have filtered the selection for them to provide both a good read and a perceived cultural sophistication. The Booker unabashedly hails itself, on its web site, as being the “leading literary award in the English-speaking world”. Being able to add a sticker saying a book has been longlisted for the Booker has an enormous impact on sales, having huge benefits for the publisher as well as the author. In 2016, Graeme Macrae Burnet’s second novel, His Bloody Project, reached the shortlist. His publisher, the small, Scottish, independent, Saraband, sold more of this book after it was shortlisted than their entire back catalogue. A strap line saying the author was a previous winner also seems sufficient to boost sales. The longevity of the impact of the prize can be seen in the marketing of Arundhati Roy latest novel which was promoted as “The first novel in 20 years, from the Booker prize-winning author. “ So, what is it that makes the Booker stand out from so many other prizes? The answer might lie in the controversy it courts. There is generally also a great deal of press coverage surrounding the selection, and usually a furore over omissions. In addition, the Booker judges, who are drawn from the best publishing and academia can offer, invariably have their decisions disparaged. 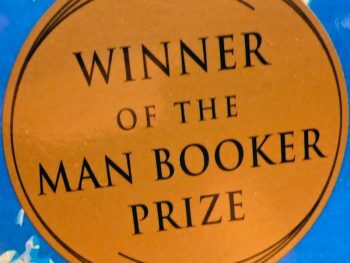 Due to the subjective nature of judging, the Booker is not the first literary prize to have courted this type of criticism; however, it seems to thrive on ridicule and controversy. There are well publicised tales of judges forcing their opinions on others, like Philip Larkin threatening to jump out a window if his choice did not win, or A.L. Kennedy reputedly branding the award “a pile of nonsense.” Such histrionics are, of course, the exception not the rule but they ensure good press coverage. Prizes are regularly criticized for rewarding already successful authors, thus failing in their encouragement of new talent. Winners of the Booker’s substantial prize, currently the largest in Britain at £50,000, have often fuelled this with flippant comments by prize winners reported such as using the prize to pay for a swimming pool or buy handbags. Paradoxically, far from devaluing the prize, damning reviews of the prize and their participants that keep this prize in the public’s view thus adds to its marketing value. Prior to the Booker, literary awards would have had about the same marketing effect as say a plumbing award today, that is, they seem important within the industry but have little or no impact on the consumer. The Booker changed that by capturing the public’s attention with its bickering judges, numerous scandals, and glamorous ceremonies. Despite the annual scandals, readers seem able to enjoy the reported debacles but to ignore their implications and head, in their thousands, to purchase the runners. Herein lies the paradox of this prize. Despite being an accolade authors aspire to achieve, the Man Booker seems to have strayed from its primary purpose of acknowledging literary excellence and has morphed into a marketing machine par excellence, one more indication that writing and the creative arts have turned into a nexus of vested interests.